In 1931 they had the big flood and they urgently needed stone so I was able to go with my father on the PS Captain Sturt because it was school holidays. On the way down, they had a barge on each side and one in front as well as the big 90-foot derrick boat, with the big boom on it. We had to take it down to Lock 2 to stand the trestles in the navigable pass up again after the flood. We couldn’t travel at night in case we ran up a billabong because the river was up. On the way, I got out at Blanchetown and spent Christmas with my cousins, the Brooks family. This little Toby Jug was my present off the Christmas tree in 1931. That’s all we’d get, one present. I arrived on Christmas Eve and the parents were given a present for each child and all that was left on the tree was a little Toby Jug. The boat went down and got a load of stone and picked me up on the way back. Coming back we couldn’t travel at night because the river had dropped so much, we were frightened of running against a sandbar. And we just got through past Lock 6 nearly to the South Australian border when we ran aground. Then we were two days while the men had to go back in a rowboat to Lock 6 and help get the weir back into place to build the river up so we could get moving again. The trip could take about three to four weeks I suppose, long enough for the school holidays to pass. By the time we got back it was time to go back to school again. 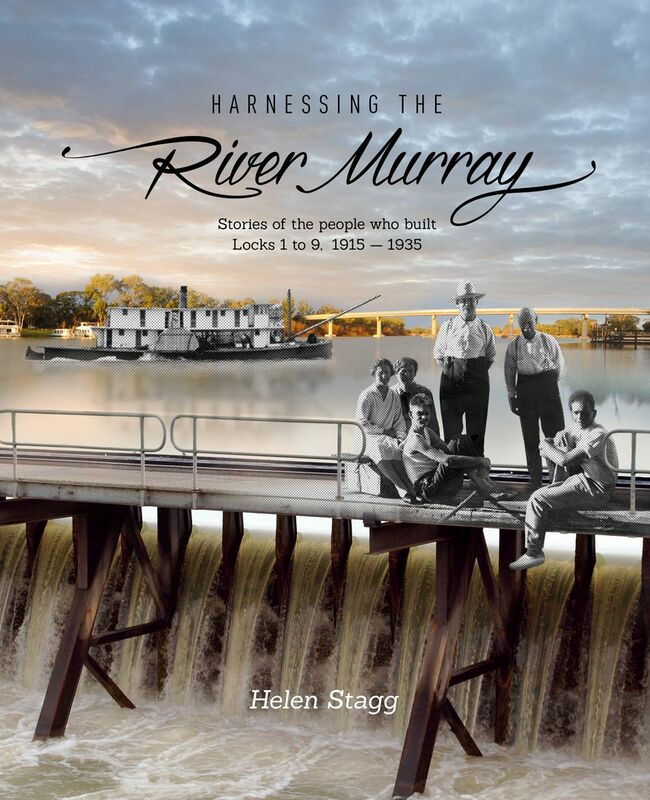 The book, with a foreword by Professor Geoffrey Blainey, has 258 pages and over 150 photographs.